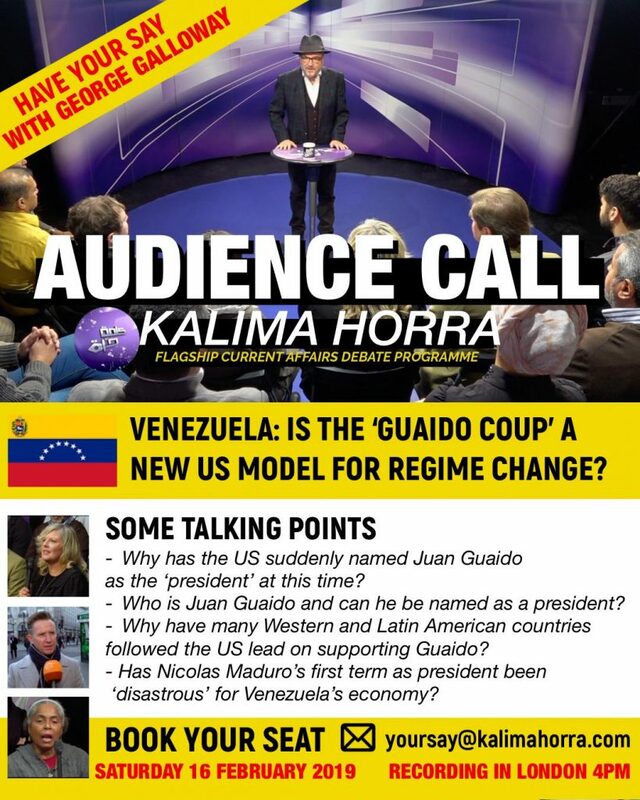 The topic: Venezuela: Is the ‘Guaido Coup’ a new US model for regime change? Why has the US suddenly named Juan Guaido as the president at this time? Who is Juan Guaido and can he be named as a president? Why have many Western and Latin American countries followed the US lead on supporting Guaido? Has Nicolas Madoro’s first term as president been ‘disastrous’ for Venezuela’s economy?